Don Bosco College�s inter-collegiate competition �Meteora 2K18� started with the funky retro theme in the Don Bosco Oratory Panjim. The first day of this mega event witnessed participation of total 10 colleges from different parts of Goa. The inaugural program began with lighting up of the traditional lamp. The chief guest of the function was Samiksha Karmalkar Harji. Principal Cedric Silveira gave the opening address followed by the speech of Manager Fr Joaquim Lobo and vote of thanks by staff secretary Twinkle Fernandes. 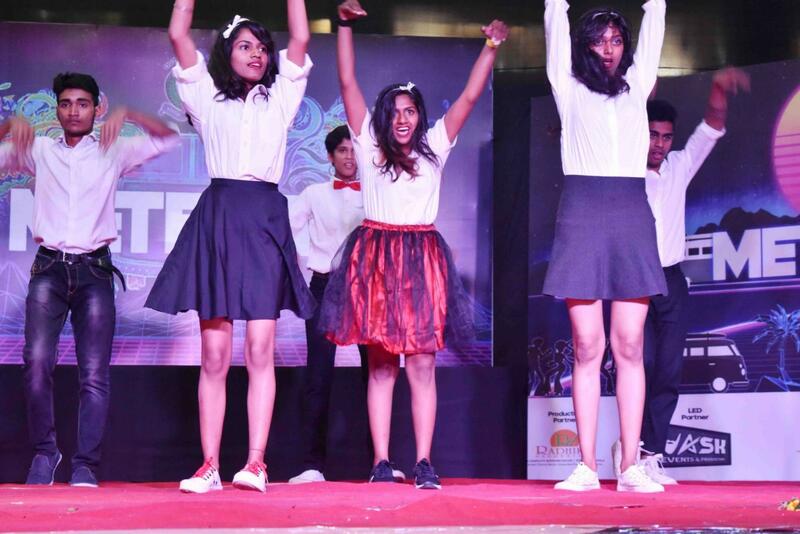 A retro styled �welcome dance� by the students entertained the audience. Events such as preliminary round of Quiz, treasure hunt, first round of photography competition, Just a Minute, Third degree and Group Dance took place today. At one end competitions such as �Third Degree� challenged the patience and confidence of the students while at the other end, off-stage events such as �treasure hunt� demanded the use of intelligence. Today�s final event was group dance. Every performance was lively, based on the retro theme and the teams successfully kept the audience glued to their seats. Popular songs such as �Khayke paan banaras wala� and �Piya tu ab toh aaja� refreshed the golden memories of assembled people, associated with the era of retro music of the Bollywood film industry. Day two of �Meteora 2K18� will begin tomorrow at 9:30 am. The major highlight of the event is Mr and Miss Meteora 2018 and fashion show. Don Bosco College Panjim present students Rahul Rametri and Oshin Colaco who were crowned Mr and Miss Goa 2018 recently are speculated to put up a brief fashion show performance for their home crowd.